When it comes to Fall favorites, I love a good pumpkin-flavored product just as much as anyone (well, some products not so much). But my pumpkin obsession doesn’t come at the expense of maple, a Fall flavor of equal importance. 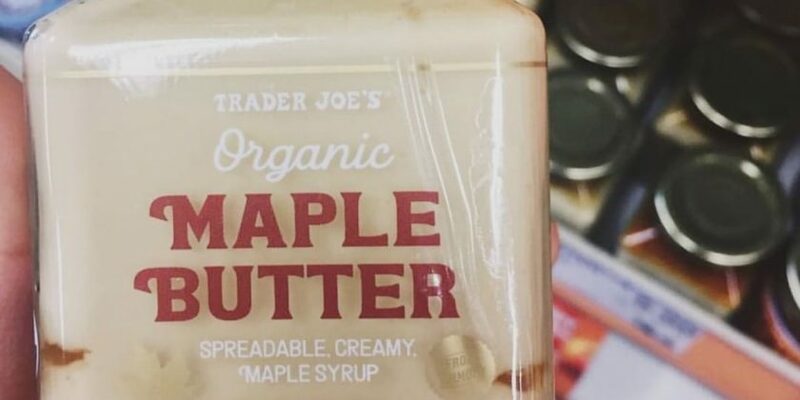 Maybe that’s why I was so elated to find out that Trader Joe’s is currently selling maple butter, a spread that’s essentially just maple syrup that’s churned until it reaches a butter-like consistency. Each 9.5-ounce jar retails for just $5.99 and is made with 100 percent maple syrup. It sounds absolutely amazing, and I’m already prepared to eat it with, uh, everything. Not only would this be a unique and flavorful addition to the condiments section of your refrigerator, but it’s also versatile enough for you to slather onto any food you see fit — in addition to pancakes, of course. Someone even used it to upgrade roasted brussels sprouts. Yum. Customers appear to be stocking up on it already, so if you find yourself wanting to get a taste of the seasonal spread, you’ll want to act fast.